I am often asked how I thought of the idea for The Florida Litigation Guide. The answer likely conjures up memories – good and bad – for all lawyers of the trials and tribulations of life as a first-year associate. During my first year of practice, senior lawyers in the firm routinely asked me to find a case citation for the most recent case in a particular state or federal district citing the elements of a certain cause of action. The senior lawyers needed the citations for a variety of reasons, ranging from the drafting of complaints and summary judgment motions to appellate briefs. It was from my hysteria in satisfying these requests – which often hit my desk an hour before the service deadline – that the idea for The Florida Litigation Guide was born. No longer need young lawyers panic upon receipt of a request from the senior partner to “quickly” find the most recent Florida Supreme Court case citing the elements required to obtain a temporary injunction for the partner’s emergency motion. Experienced lawyers will also benefit from the ease at which they will locate information used in daily practice. 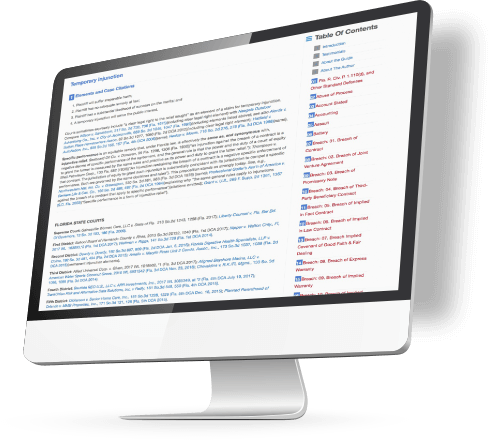 From drafting complaints and answers, to motion practice, jury instructions and appeals, the Guide will be your starting and end-point for the research needed to build the cornerstones of your cases. 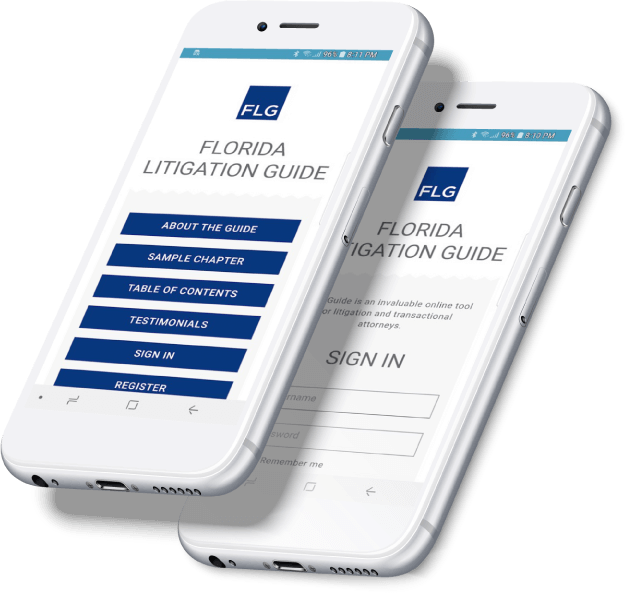 The contents of The Florida Litigation Guide originally appeared in “The Florida Civil Litigation Handbook: Actions, Defenses, Evidence and Rules”, which was published annually by Matthew Bender & Company from 1997 through 2000. I hope the Guide makes your daily practice a little easier.